I wrote in my previous post on how do I justify my belief in God which is likened to the relationship of a husband & wife, not doing what the other hated. Our life is full of temptations, that sometimes our measure of doing it is the answer to a question, Are you happy? Womanizing for example is satisfying the lust of the husband but unacceptable to the wife. Robbery augment the needs of the robbers but injustice to the people they robbed. What do I mean? For we to know God is to know His commandments that we may walk in the path of righteousness. Looking at the herd of people attending the wake of the late President Corazon Aquino, I remember this verse from Jesus regarding the burying of dead. Meaning, Anyone who is alive but has no faith is dead in the eyes of God. The Catholic Priests are urging the nation to pray for the soul of the President. Is this possible? Ecclesiates 9:5-6 For the living know that they will die; But the dead know nothing, And they have no more reward, For the memory of them is forgotten. Also their love, their hatred, and their envy have now perished; Nevermore will they have a share In anything done under the sun. Deuteronomy 24:16 “Fathers shall not be put to death for their children, nor shall children be put to death for their fathers; a person shall be put to death for his own sin. A conserted effort for a national prayer can not anymore reward the President for she will be judged according to his own sin works. Kris Aquino, the daughter, is saying on national television that her father Ninoy Aquino might fetch her mother and together go up to heaven. Is this also possible? With the verse above, even the Apostles who died with Jesus are not yet in heaven. 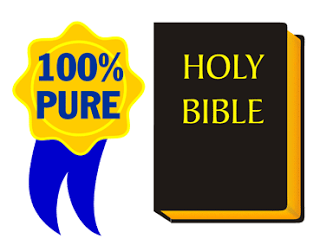 Hebrews 11:38 of whom the world was not worthy. They wandered in deserts and mountains, in dens and caves of the earth. Not until the coming of Jesus where the dead will be raised. 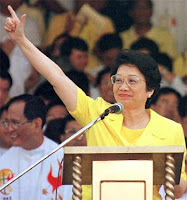 Who knows but God, President Corazon Aquino and Ninoy Aquino might be part of the first resurrection. I bow my knees unto the Father of our Lord Jesus Christ, Of whom the whole family in heaven and earth is named, that the eyes of your understanding being enlightened; that your faith should not stand in the wisdom of men, but in the power of God. Hi Ely! I'd like to invite you to add your link on my blog for those who posted about Cory and / or placed a yellow ribbon at their blog.